Medical Malpractice Help » Medical Malpractice Causes » Do I Have a Case » Can a Medical Malpractice Case Be Reopened After It Has Settled? Can a Medical Malpractice Case Be Reopened After It Has Settled? You typically cannot reopen a medical malpractice case after you settle it. Can I Reopen My Medical Malpractice Case If I Settled It Without a Lawyer? Do I Have to Pay My Medical Bills After I Settle the Case? Who Settles the Medical Malpractice Case, the Lawyer or the Plaintiff? What Is the Effect of a Settlement Release? How Can I Make Sure I Do Not Settle My Medical Malpractice Case Too Early? Absent exceptional circumstances, a medical malpractice case cannot be reopened after it has settled. Once you have signed the settlement documents—including the release—and received your check, your claim usually closes. You cannot go back and ask for more money, even if your case was worth more than you received. An attorney from Newsome Melton can help. Our team understands how medical malpractice settlements work. We can help you successfully navigate the process, no matter how complex your case. Call 1-855-MED-ASKS for a free consultation. If you settle your case without a lawyer and later realize your settlement proceeds cannot meet your needs, unfortunately, a lawyer usually cannot help you. Once you settle your case, get your check, and sign the release, you lose the right to request more money from the defendant, even if you did not know how severe your injuries were when you settled. Many people succumb to the temptation of a quick settlement when the doctor or hospital’s insurance company offers an initial check. People are particularly vulnerable to settling too soon if they lost time from work due to the harm they suffered, and they see the medical bills, mortgage, and utility bills piling up. Yes. Sometimes people mistakenly think that the doctor’s insurance company will also pay their medical bills. This is not the case. In fact, some people have to use the entire settlement check to pay the doctors and hospitals for their treatment. If your settlement is not enough to cover all of your medical expenses, you will have to pay the remaining balance yourself. Only the parties to the claim—the patient and the health care provider—can settle the lawsuit. Your lawyer may make settlement demands on your behalf and communicate settlement offers from the defendant to you, but only you have the legal authority to settle your case. You are the person who signs the settlement documents and the release. A settlement release gives the defendant freedom from having to worry that you will later request more money for your losses. This document keeps you from being able to reopen a medical malpractice case. When you settle, you release the defendant from any additional or future liability for any claims you might have against him—even claims you do not know about yet. Imagine, for example, you sued your surgeon for making surgical mistakes, including leaving a sponge and clamp inside of you. The doctor’s malpractice insurance carrier made a quick settlement offer, which you accepted. You signed the release and got your check. The release form probably included general and specific release language. The specific release language will resolve all claims against the defendant related to the surgery. The general release language can take away your right to take action for any and all claims, whether known or unknown, that you may have against this defendant. Even if you continue to suffer adverse effects from the original surgery, you cannot get any additional compensation for your damages. The at-fault doctor will not be liable for any corrective surgeries, additional medical bills, or pain and suffering you experience in the future. The best way to protect yourself from settling your claim too early is to get a medical malpractice lawyer on board right away. Your lawyer will not let the health care provider or the insurance company pressure you into a settlement. An attorney can also make sure you do not settle your claim until you have completed all your medical treatment and are certain that you know how the harm will impact your life. Never sign anything, particularly a settlement agreement or release, without your lawyer reading and approving it. 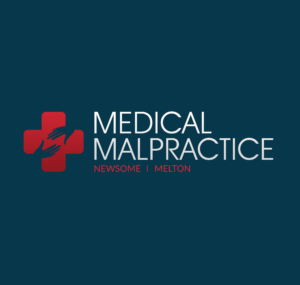 At Newsome Melton, we fight for the victims of medical malpractice across the United States. Call us at 1-855-MED-ASKS to set up your no-cost consultation and case evaluation.